French Bulldogs also referred as Frenchies make one of the best companion dogs in the world. They are small and generally well behaved around other pets and people. These dogs have a reputation of being clownish and playful, stealing attention whenever an opportunity presents itself. Similarly, these Bulldogs love being around people and other pets. The dogs are active and frisky during the day but love curling up to relax on the couch during the night. This makes them perfect companion for families of all sizes and ages. Training French Bulldogs is not as complicated as many people tend to think. 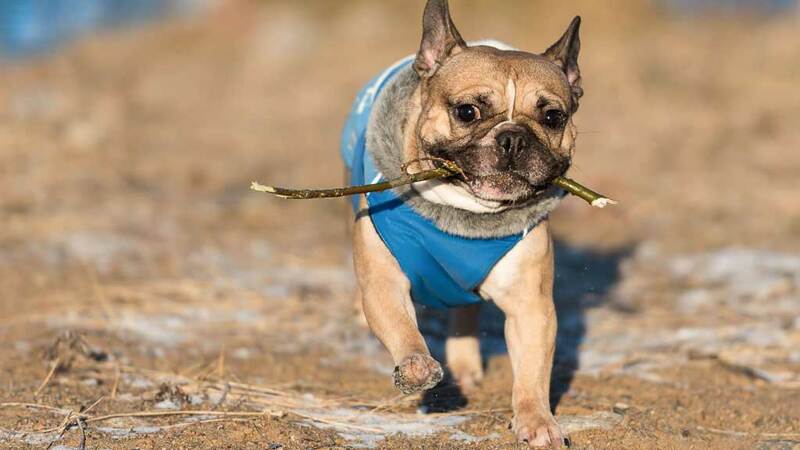 The Frenchie loves playing games and running. You will surely have fun when training them. For the best results, the training should be in short sessions, as they will lose interest quickly if the sessions are too long. Mixing the routine up will keep the dog interested. Additionally, showering your Frenchie with treats and affection during the training period will get you fast results. Punishing or yelling to this dog will frustrate him and may stop listening altogether. House training will take some time and patience to train them fully. Most breeders recommend crating them for 4-6 months for full training. The Frenchies are stubborn in nature, so you will need to be patient to get your desired results. Being impatient will cause a lot of problems during the training. The dogs are slow when learning new things. However, once they master the trick, it is very hard for them to forget. The key here is being consistent, as this will help them to understand better. Another important aspect to ensure is to have some kind of usual training routine. 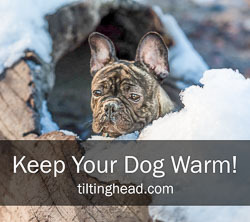 This allows the dog to prepare physically, boosting it concentration. When you stray from the usual routine will confuse your dogs, making the learning process difficult. 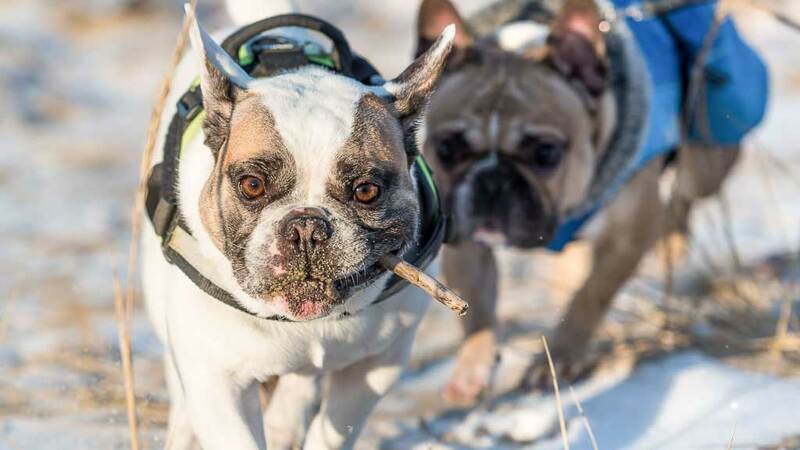 French bulldogs have their own intelligence, independent thinking, and mischievousness. For proper training, you must consider their personalities and offer a tailor made training that will fit your dog. Remember, although the dogs are fully trainable, they tend to be stubborn. Failing to recognize your dogs, special needs will make learning more tiresome for both the owner and the dog. Some dogs are active during the day while others love taking long naps during the evenings. Ensure you have a comprehensive training session and only train them when they are most active. Although the process seems time-consuming, your dog will behave properly if you invest your time and energy to train them properly. Regular exercise will help the dog to drain its excess energy. 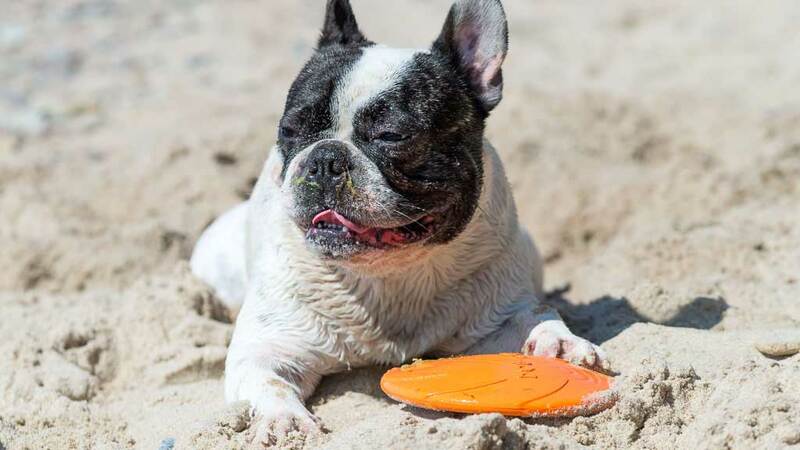 As previously, mentioned, French Bulldogs tend to be playful and active during the day. When you are training the dog in a crate means that his movement is limited. To drain the excess energy ensures that you take them for daily walks. Also, daily walks are crucial to training as you can use this time to teach the dog simple commands such as come sit and stay. Confining the dog in a crate is also very effective as it allows you to teach him places to go and the restricted areas. Why is crate training the bulldog necessary? Frenchies are known to be willful and stubborn at times. Since they take a long time to learn how to act on commands, you must be more willing than your dog. Using a crate to train your dog will help you to have better results in a short time. Since the dogs are easily distracted, confining them in a crate will allow them to focus on basic tasks. Generally, the dogs are not aggressive. For this reason, you only need to teach them how to obey basic commands, and they are good to go. These dogs are very friendly and one of the best dog breeds that any dog lover would want to have. Plus, they are very cute and easy to manage. Just like any other training, start training your French bulldog at an early age to avoid unwanted behaviors to develop. Adequate training will also allow him to get along well with children as well as other pets. ‹ Yo Galgo – a Documentary Film About Spanish Greyhound	› Dog Quote of the Day: You Keep Me Safe. I’ll Keep You Wild.